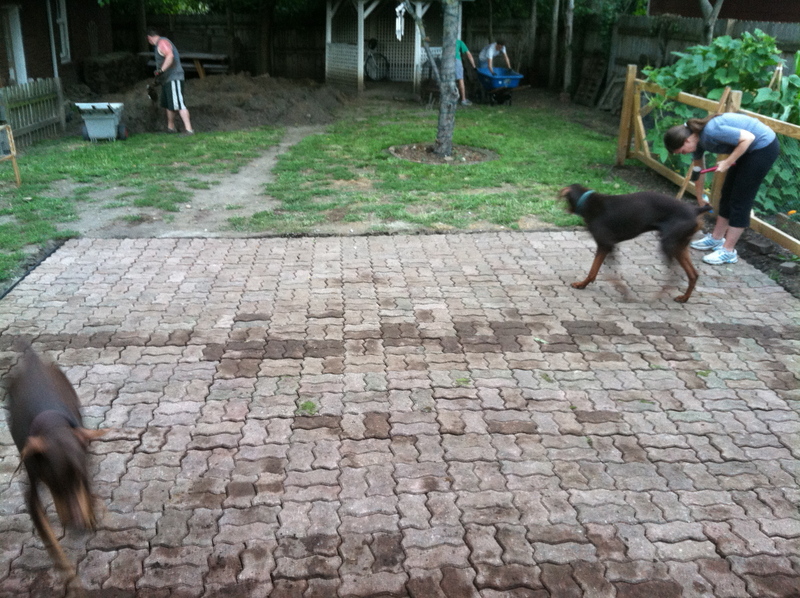 Nine months after the bricks had been plopped in our yard we finally got around to making our patio. 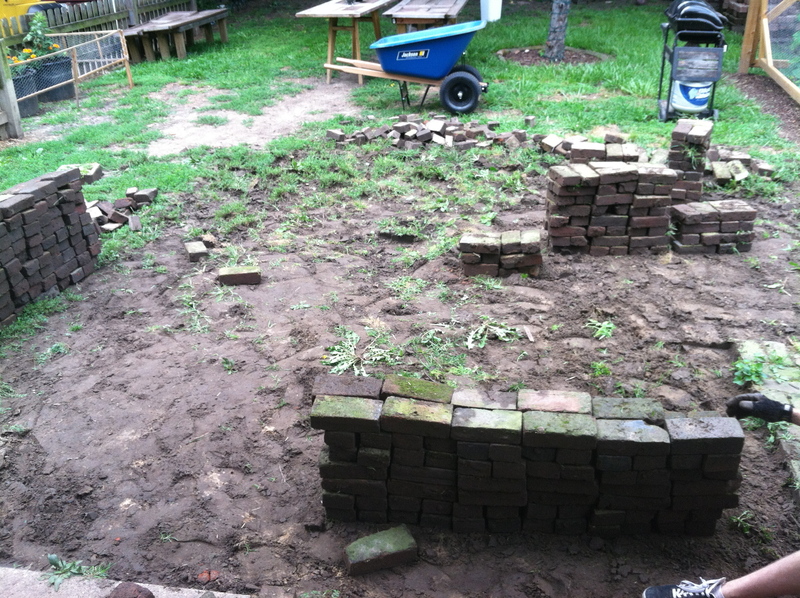 First, we used the weekend prior to our “patio weekend” to remove the current bricks and mark out the space we wanted to brick. I should also forewarn anyone looking at this as a “reference” – use this more as a “ah, so if you go at it this way… this is your result” rather than “yep, we’ve got this, this tutorial will tell us all.” No, nope, don’t get carried away. DIY Network had a really great tutorial that we used as a general guide. 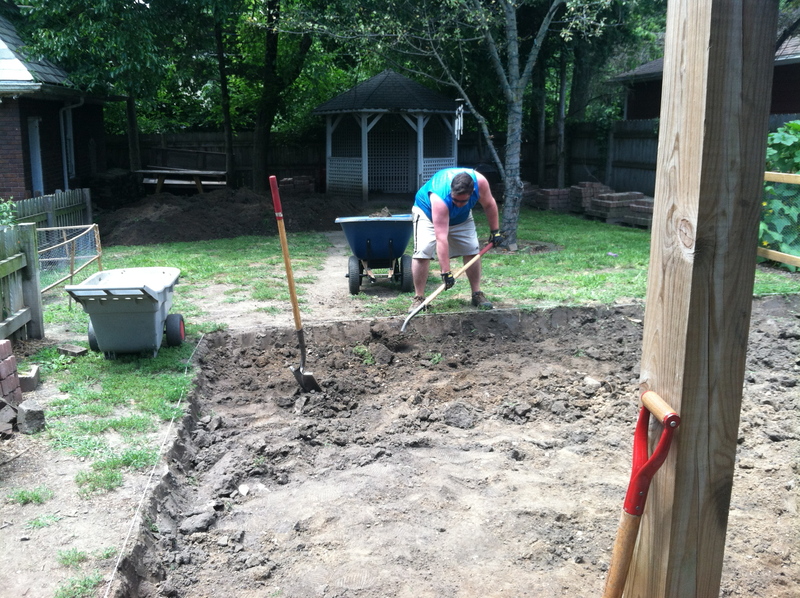 Next, we did the responsible thing and called the Know Before You Dig number… then we realized it was a holiday weekend and we may as well divert our attentions elsewhere since it would take a few days for confirmation that we wouldn’t be disturbing any lines. 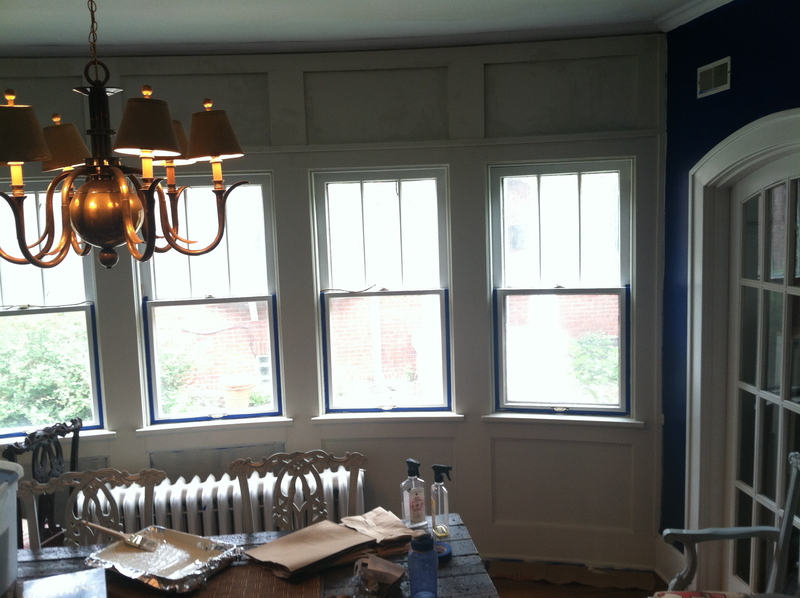 So I took to priming the dining room. I was over the dark blue. 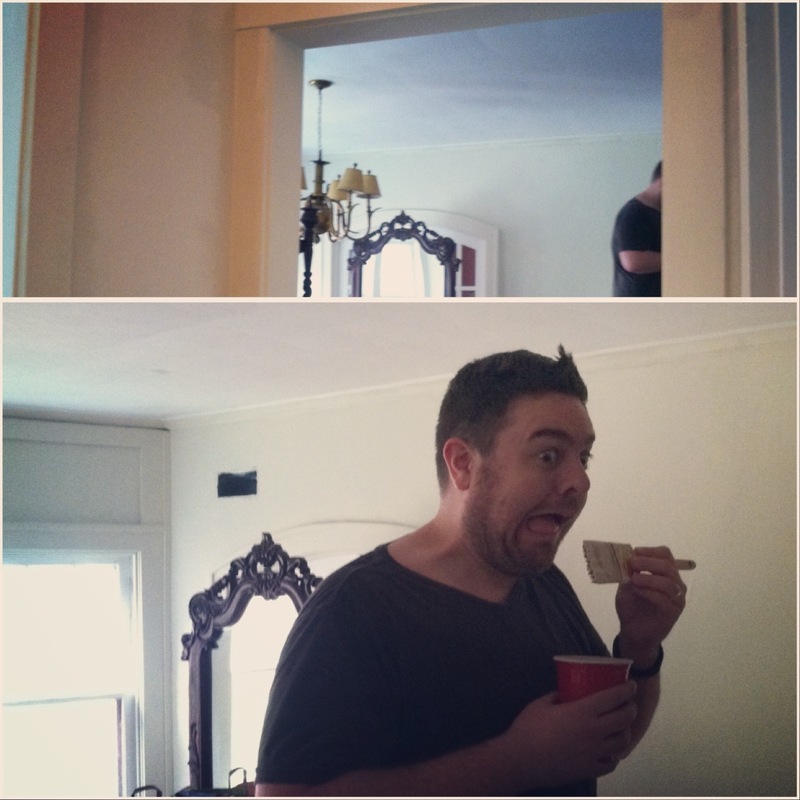 The following weekend, we had a primed dining room and the “ok” to dig in our designated space. 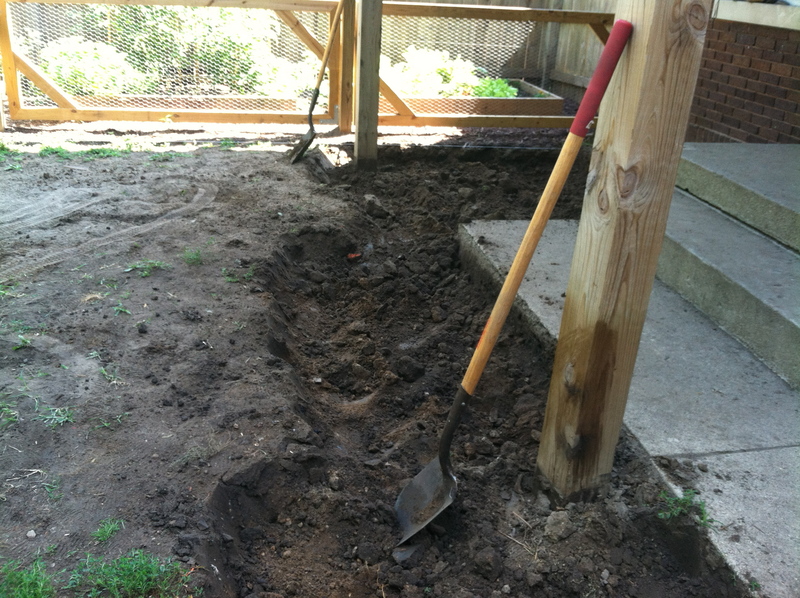 After much reading and research, we aimed for a full 8″ of excavation. Good ol’ sweat equity here. The digging took about 6 hours, which included a little lunch break for the two of us. Thanks, Abby, for taking pity on us and bringing some Jimmy Johns and an extra shovel that day. The weather was absolutely amazing, which did help a great deal. We didn’t have to worry about sweating our motivation out. Once the area was dug out we re-measured and did our best to cut the edges straight, raked it all into a relatively even ground and headed inside to clean up. 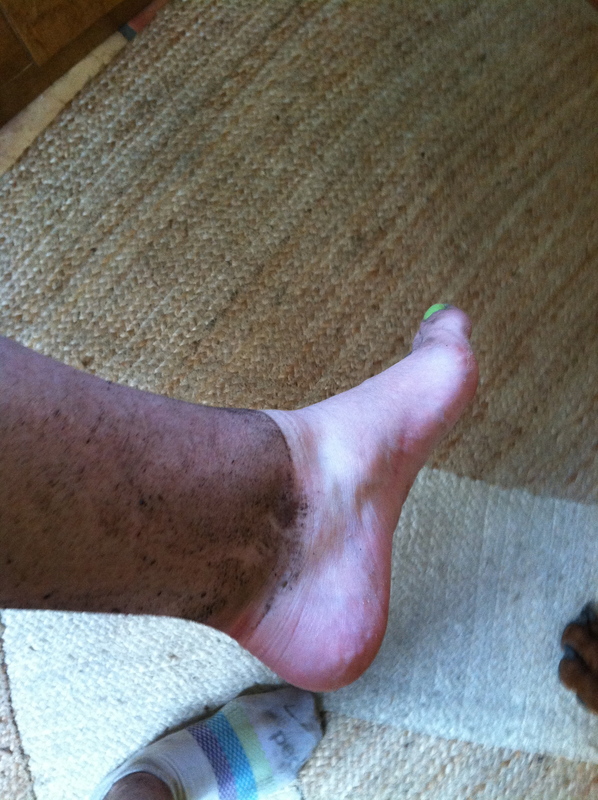 This, this is a dirt line. A tale-tale sign of a DIY-er. Gross, so gross… but can’t help but to be a smidge proud of that. We cleaned up and headed out to Home Depot to rent a tamper. God bless the DIY bloggers out there that threw pride out the window and recommended renting a plate tamper. We did and can’t imagine not having rented it. 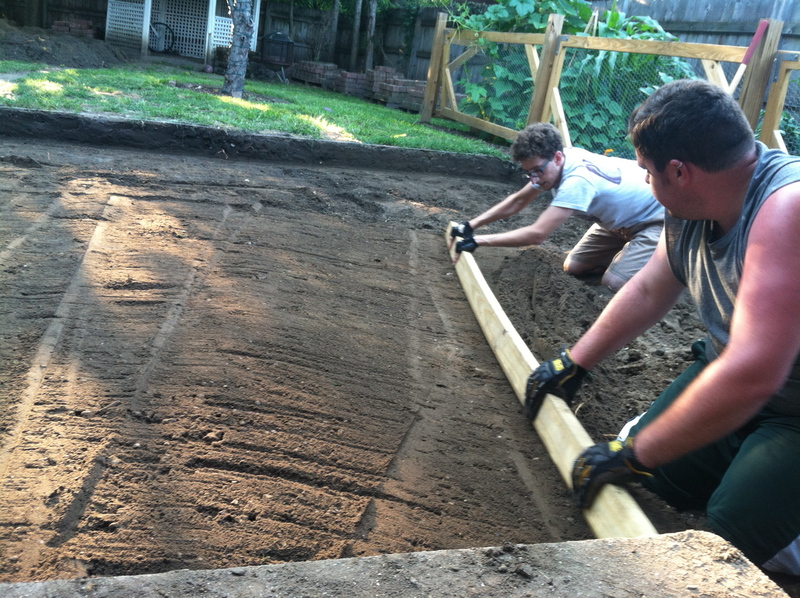 Tamping that large of an area by hand would have done us in. Leveling. We still don’t know how people (professionals) level such areas. Seriously, how do you make sure it’s all the necessary 8″ and 1/8 incremental decreases to allow draining away from the house? The husband and brother (thanks Iyz) took to using a 2×4 to screed it all out the best way they could manage and tediously going about with measuring tape. 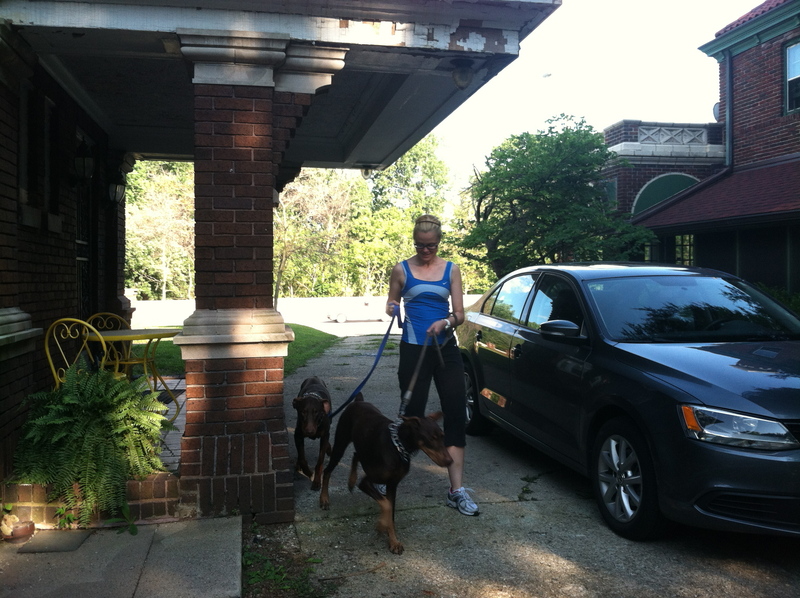 In the meantime, our lovely friend stopped by to take the pups out for a fitness walk since they’d been cooped up in the house while we tore up their yard and we were in no shape to walk around with energetic dogs. By the way, the moral of this whole adventure (and nearly every other DIY adventure) must have friends. They can make the difference between wanting to throw your hands up and give up and actually completing something. 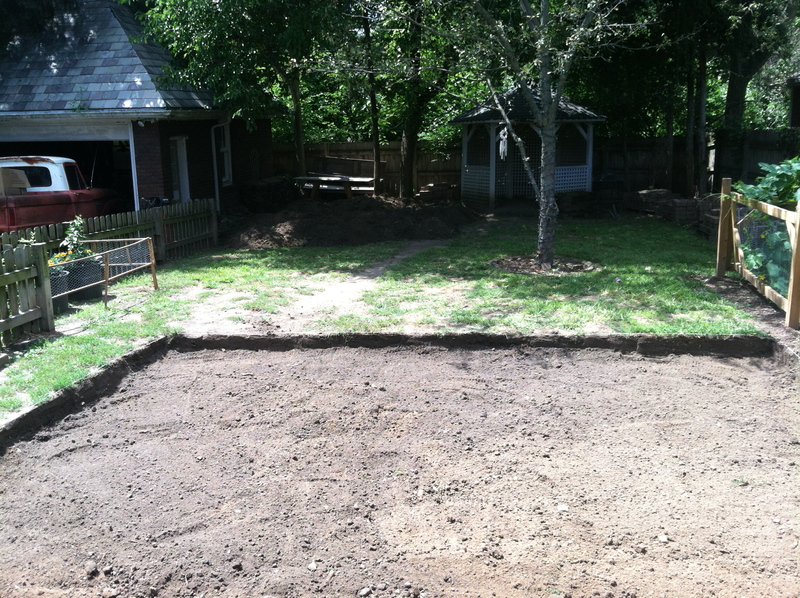 By the end of day one, the area for our patio was ready for the piles and piles of bricks that had been waiting to fill such an area. 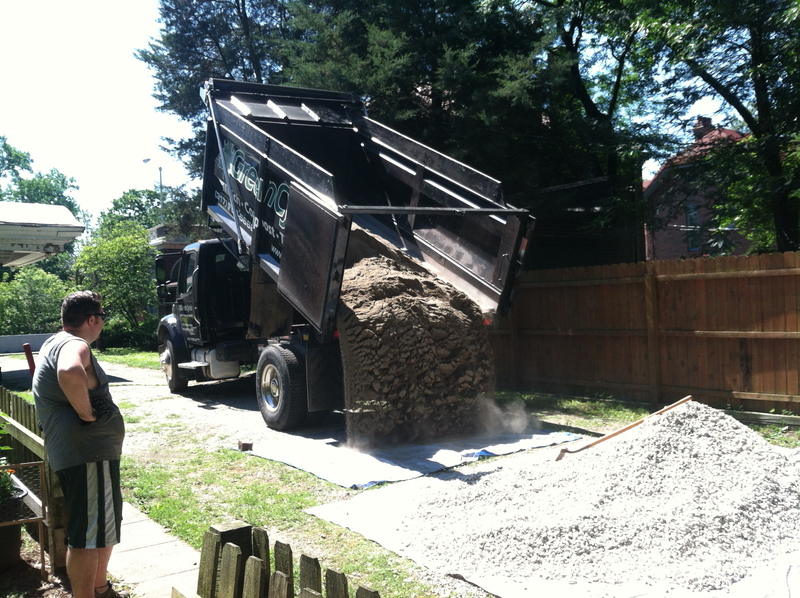 First we had Greencycle dump off a load of gravel then a load of sand into our driveway – on top of tarps. Well, I should say, first we went to Greencycle in Josh’s old pickup only to be informed it would take us eight trips to haul the amount we ordered in that truck. . . needless to say we purchased the “delivery” option. We were pretty gun-ho initially. 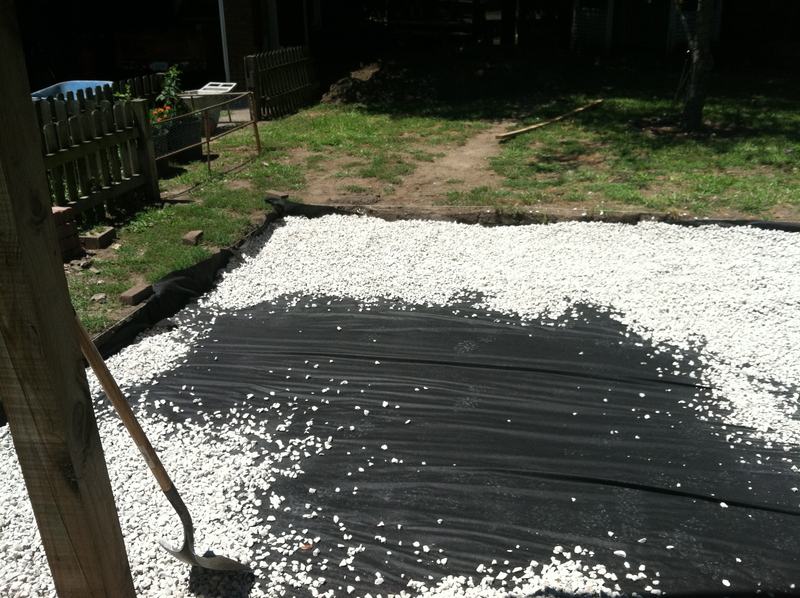 That first layer of gravel seemed like a breeze! We shoveled from driveway pile to wheel barrel to dumping in the excavated area and back to the pile in the driveway again. 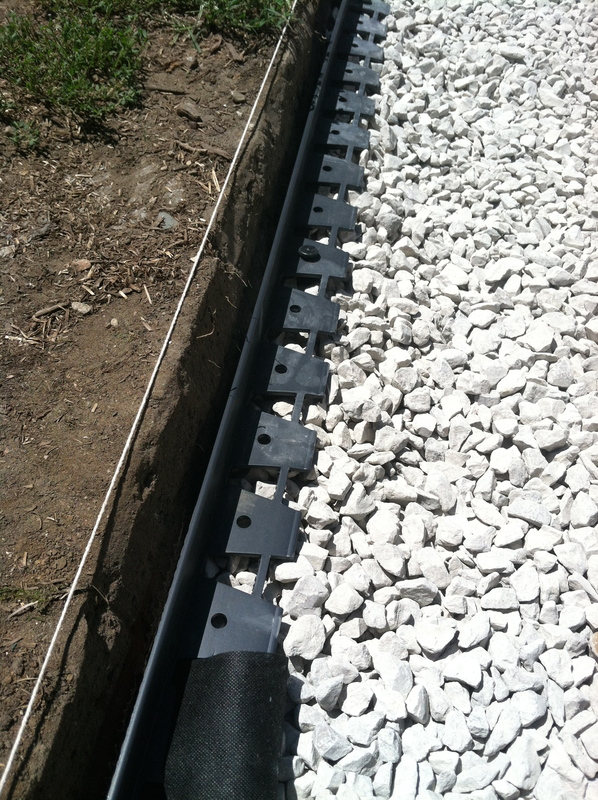 Once 1″ was covering the area we tamped it down to prevent shifting later on. 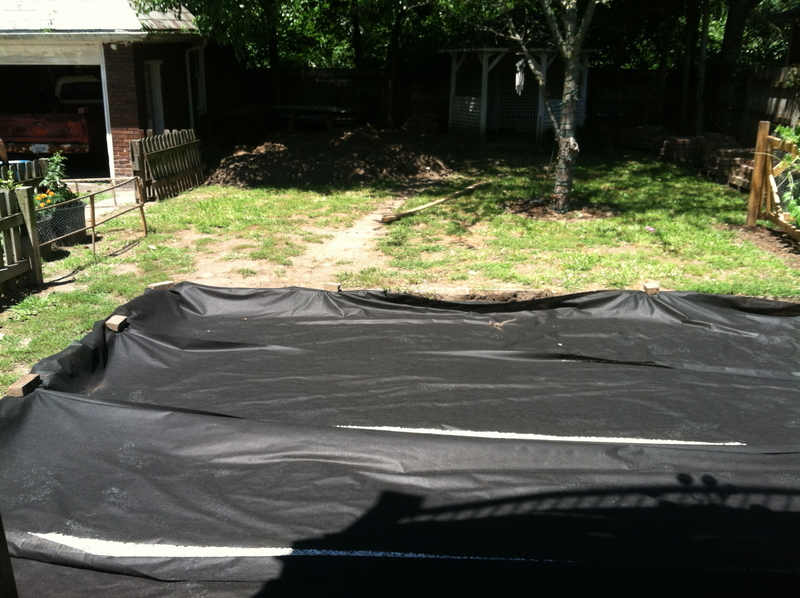 Next we rolled out landscaping fabric to prevent weeds from ruining our work. 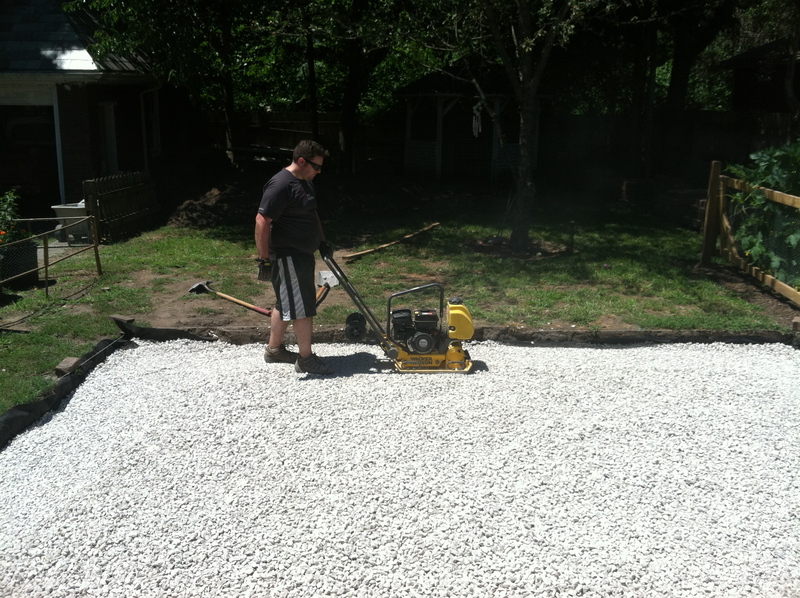 After the ground was ready (covered by the landscape fabric) we returned to the driveway pile and hauled out the remaining gravel to cover the area and be tamped down.This was also about the time we hit that point. I’m betting every amateur home DIY-er hits that point of “Dear Lord I’m never doing this again. . .I will hire out!” Clearly it’s not true, we’d still do it again… but regardless…. shoveling loads and loads of gravel will bring a person to that point. It was taking two of us to even haul the wheel barrel of gravel. . . More or less for moral support and encouragement to keep going than weight. Thanks ‘Manda. 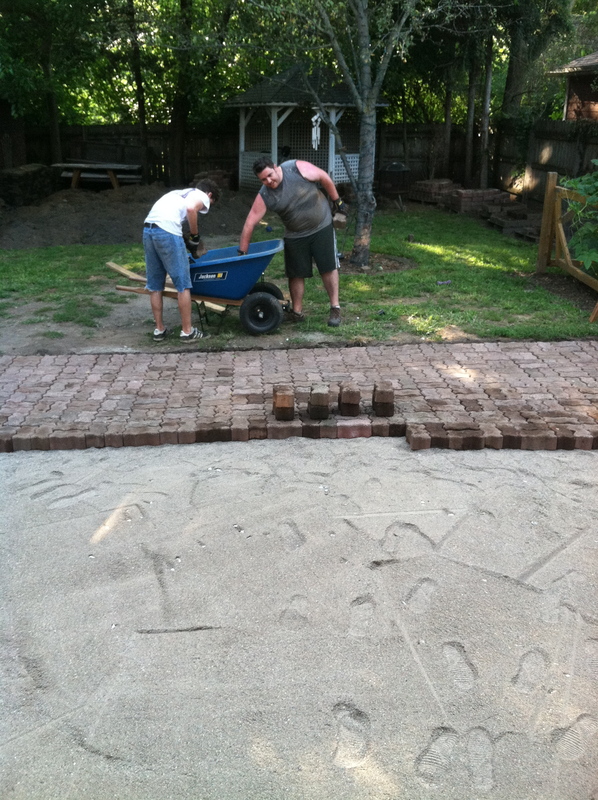 Once all of the gravel got into place we tacked down the landscaping paver boarders to help the bricks remain in their rightful place rather than shoving the land out and making any wonky lines. 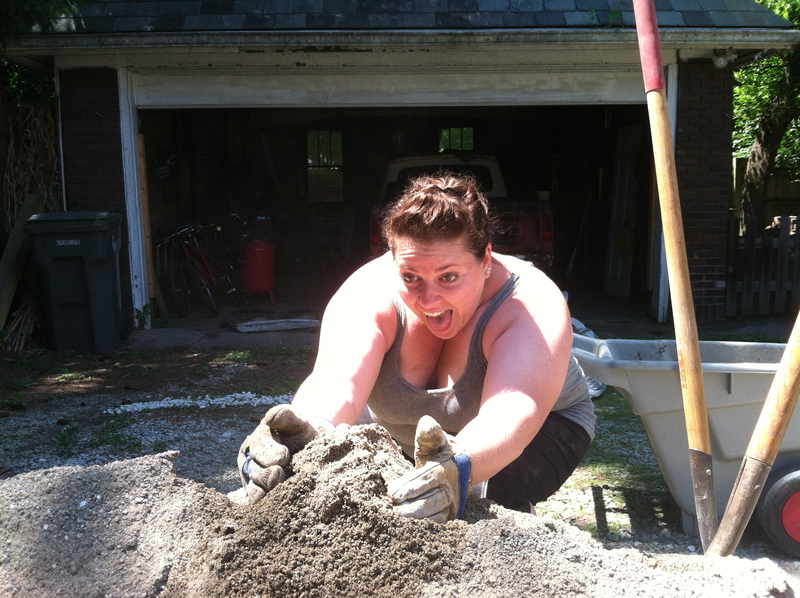 ‘Manda took the beach-like to heart and began working on a sandcastle. (We may have been getting a bit loopy). 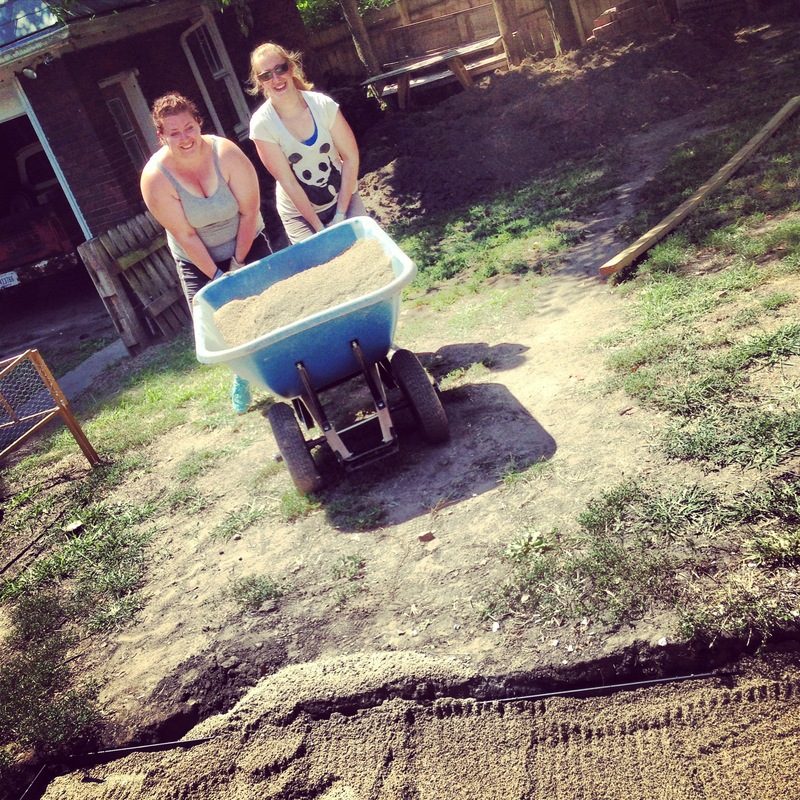 The sand was so much easier to shovel and rake out than the gravel had been. It was deceptively heavy though. 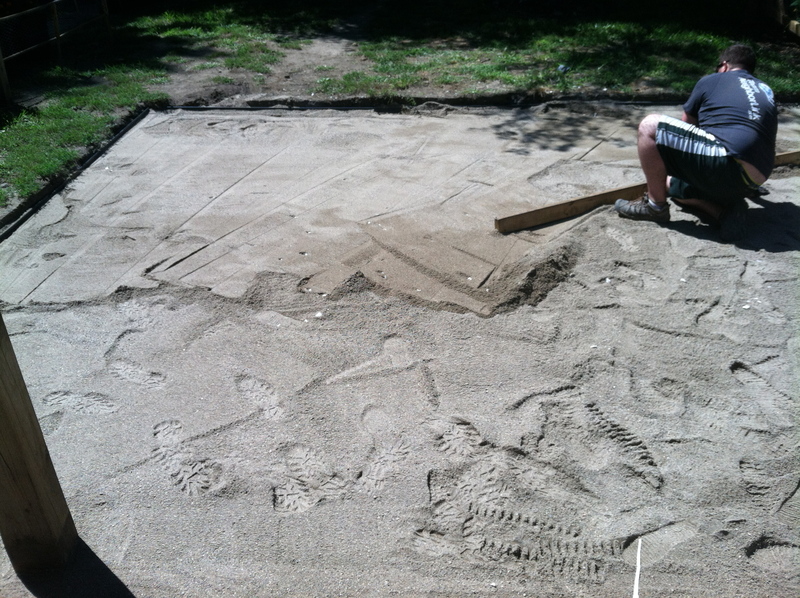 Josh took to screeding the sand prior to our brick laying. Most of the following became a blur due to the amount of work we’d already done, so much a blur that I’m not sure what possessed us to keep going after we’d done all of this already. Oh that’s right… an entire area of sand plus three dogs…. DUMB. 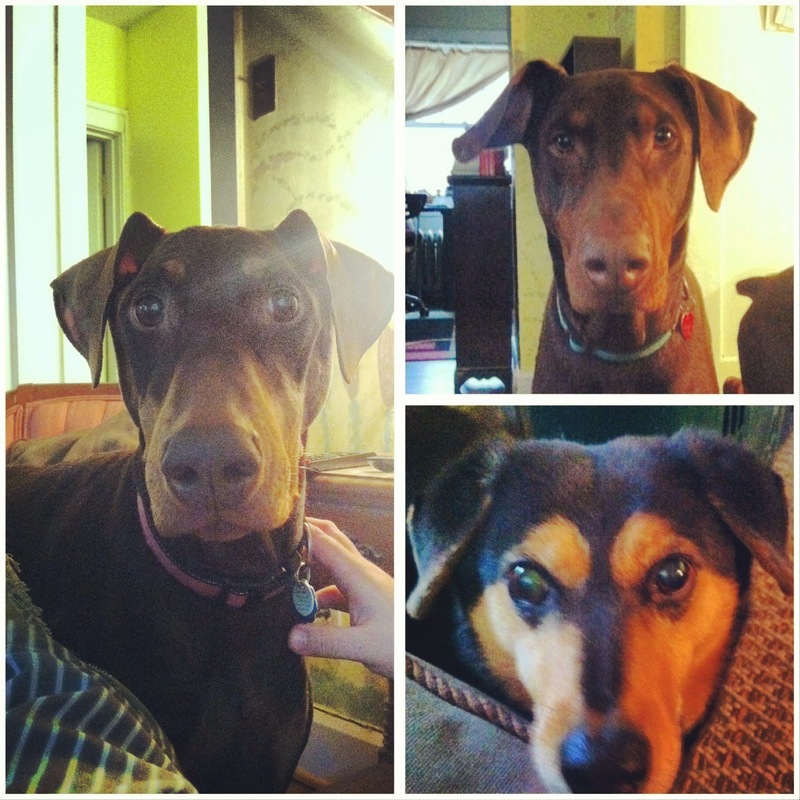 So doggedly, (ha! I crack myself up), we carried on. It was still three of us, but we traded out ‘Manda for Iyz. 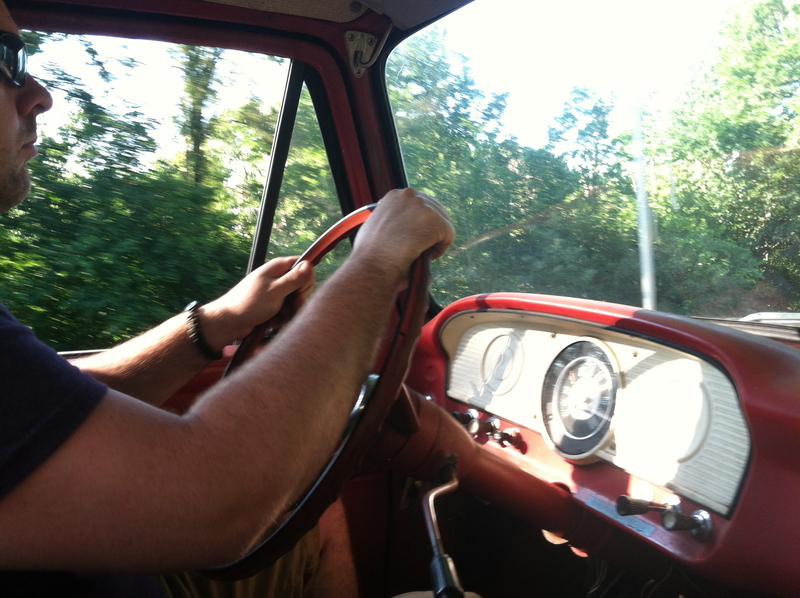 This was his rent – manual labor. It worked well for us. Then the cavalry (Berg 1 and 2.5) swooped in for the final push – through exhaustion, mental absence, the last section of bricks and sweeping sand through the cracks. 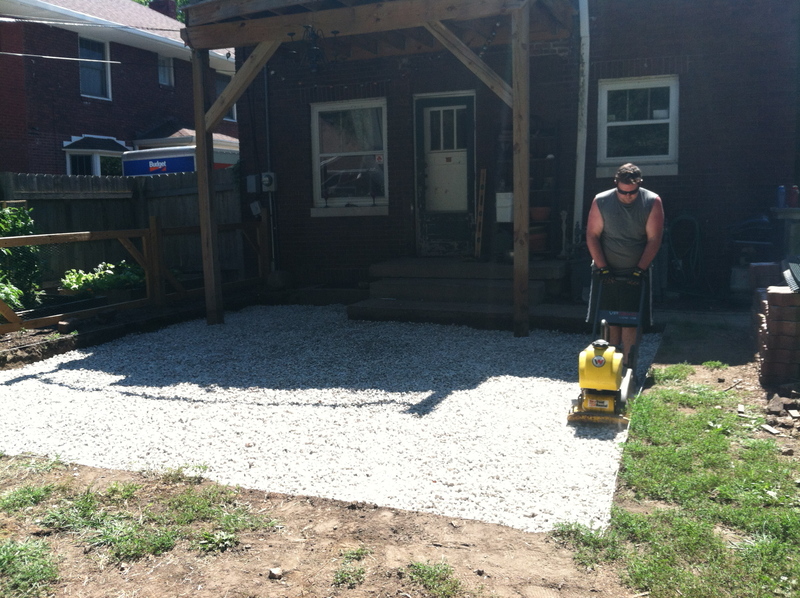 Two days later and the patio is complete. 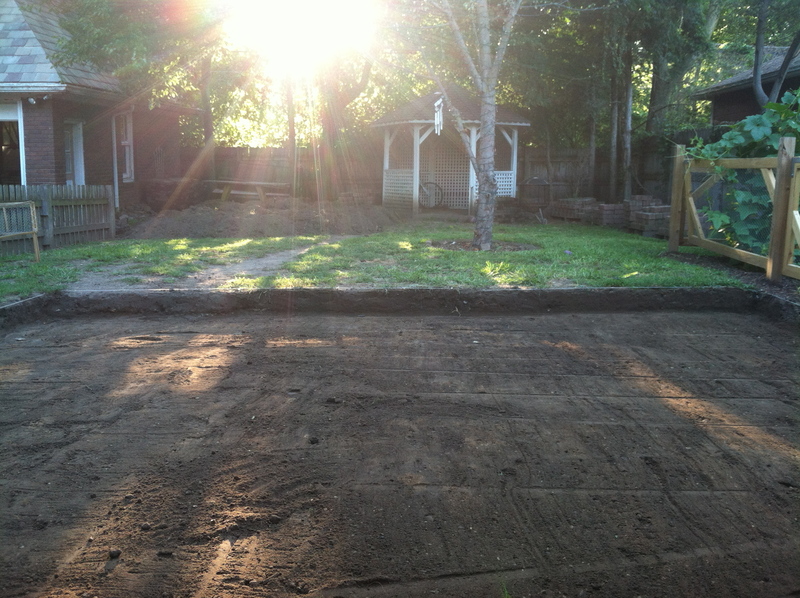 We’re still alive and the dogs have a whole new pile of fill dirt to romp around in. It. can. be. done. Aaaaah, perfect. 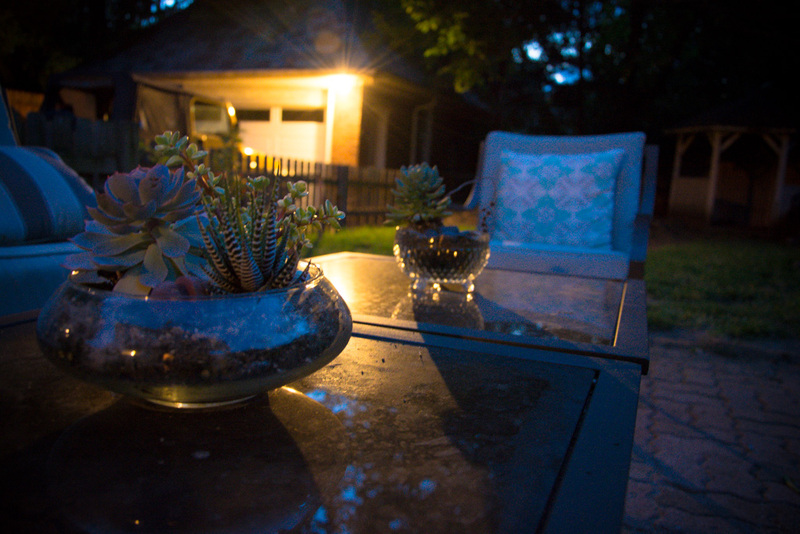 We have dreams of landscaping around the patio with plants that naturally keep mosquitos away… perhaps rigging up a large sheet to our balcony posts and setting up movie nights outside… but that’ll come. One day.